The rise in number of people working from home, extended paternity leaves, men helping out with children and house work has lead them to spend more quality time at home. 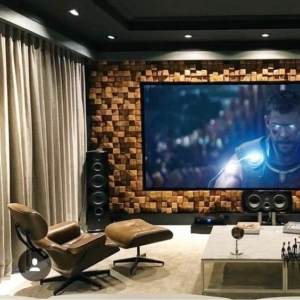 Therefore masculine features in design like more functionality, cool colours, rough textures and materials, sober details, presence of electronics & masculine gadgets have taken a more important stance in clients’ brief to the designers. 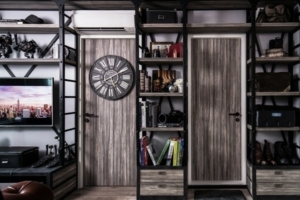 Some key features are the preference of functionality over cuteness, cool colours like charcoals and dark browns, materials like leather, metal, wood and mirrors and handsome accessories. By the way, I must confess that sometimes I prefer to deal with men in projects, as they are more decisive and efficient with time compared to us, women. But they lack the joy of a long, giggly chat over a chunky cushion or a crochet pouff !:)). 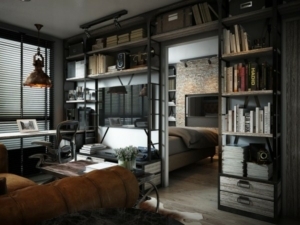 Here are some tips and lovely interiors for the guys ! 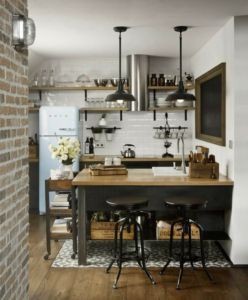 Regardless of our gender, don’t we all love industrial features!… The backdrop of exposed brick walls give any space a good character. 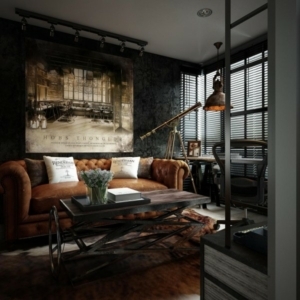 The mix of leather, metal and natural wood in this lovely condo creates a sophisticated, stylish and unique interior which would be ideal for a guy with good taste. 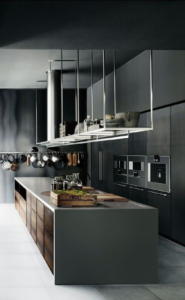 2) A Cool Kitchen for the Chef ! 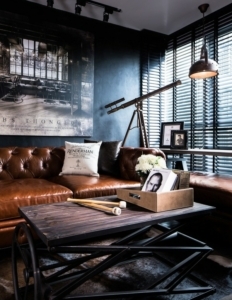 A contemporary or industrial style with a vibrant metal accent would be ideal for guys with good taste. 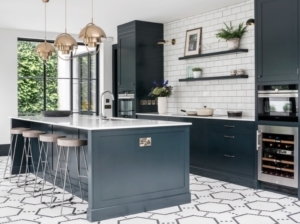 If space allows, a multi purpose island is almost a must for both food preparation and social gatherings. 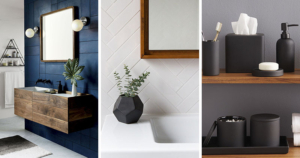 My preference in choice of materials would be stainless steel, hardware stone or rough wood that are easy to maintain and have a subtle, minimalist look. This is probably the only place where they are not too messy. They seek for order and would like to find their stuff as practical as possible. See this link for great tips and images. 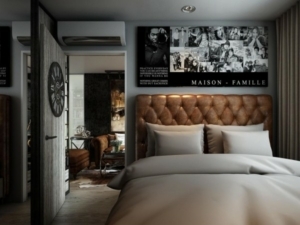 See this link for bachelor’s pad ideas and images. 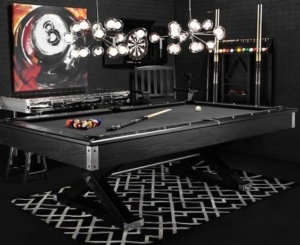 A must of you have the space and the budget. A cliche that always works with boys.